How was yesterday for you? Of course, for some of you, it was just another Sunday. 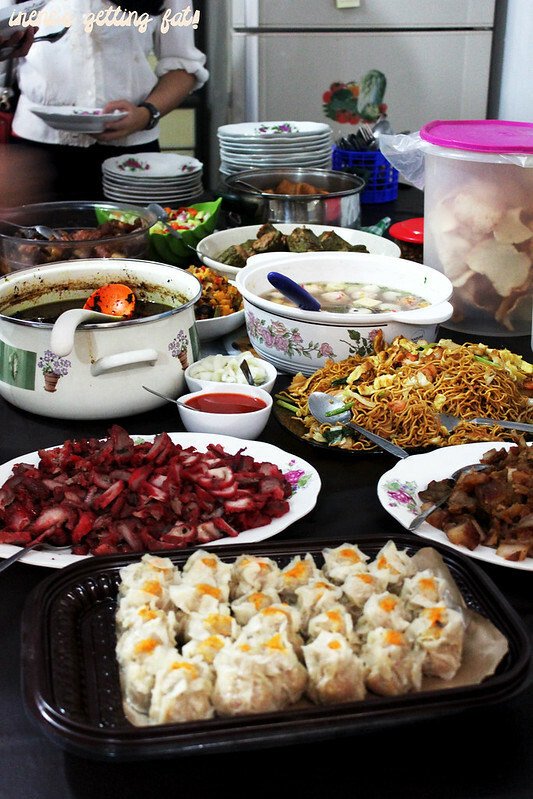 But for us with Chinese background, it was the day to gather all the cousins and uncles and aunties for a big feast, with the children are all looking forward to the red pockets. Like always, the family and I went to the great grandma's house, where a table full of food is ready to be attacked (first picture). 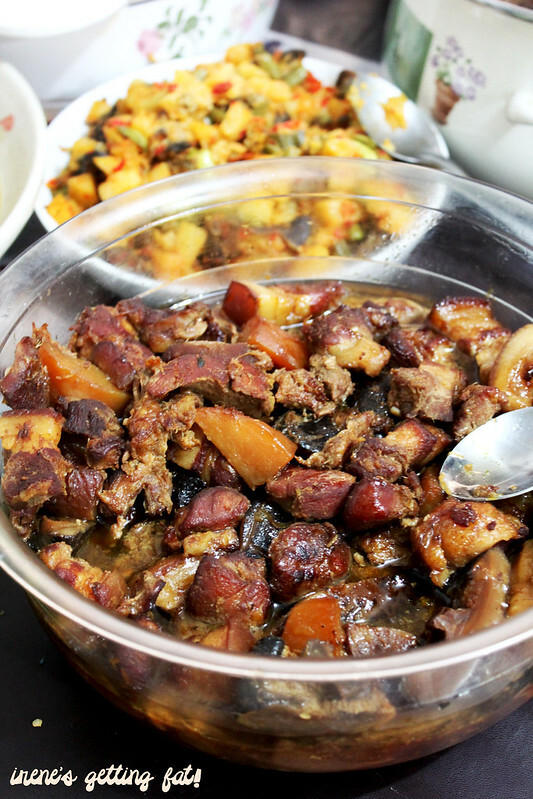 The menu is similar for years, but there are always pork dishes. 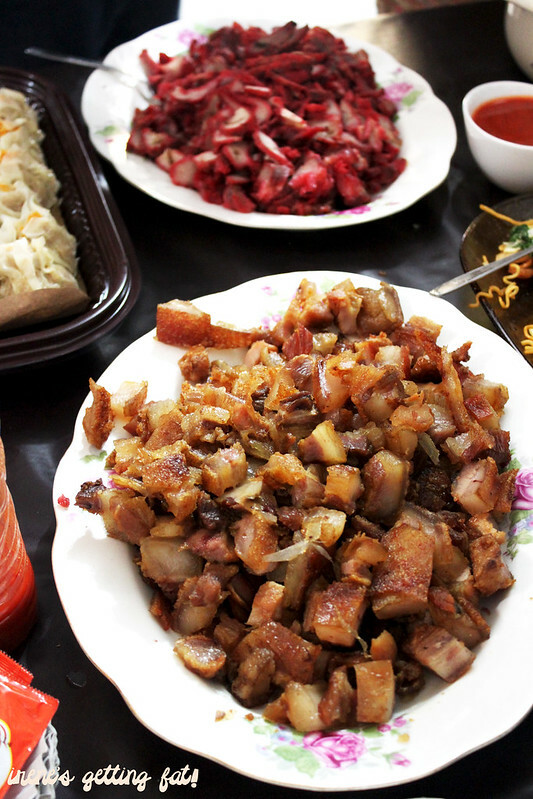 What's CNY without pork? My fav were the super addictive crispy crackling roast pork and cha siu (glazed roast pork). The soy sauce braised pork is also great, but the pork isn't tender enough for me. 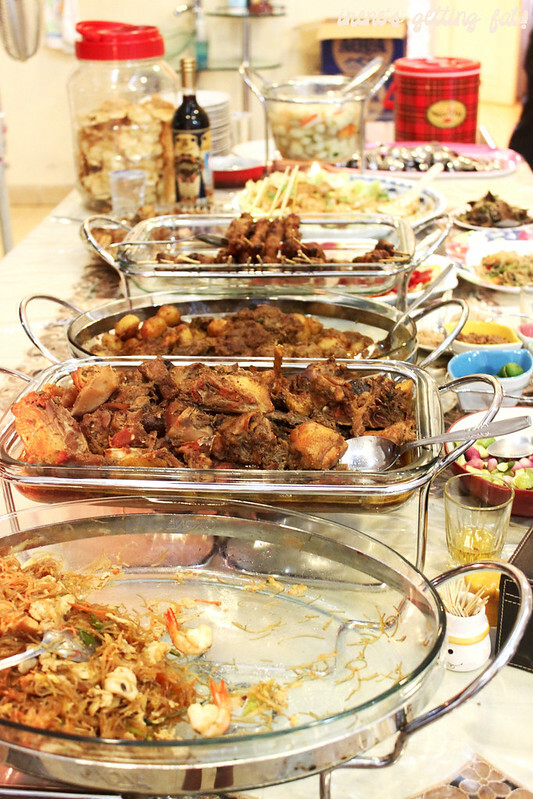 You know that a family loves eating when a table full of main meals is not sufficient. There was this small table, fully occupied by snacks, fruits, and cakes. We also had awesome es cendol (green worm-like jelly in coconut milk and brown sugar syrup) and fruit pudding for dessert. The day wasn't even close to the end. We moved over to the father's eldest brother's place, to stuff ourselves with more homemade food. 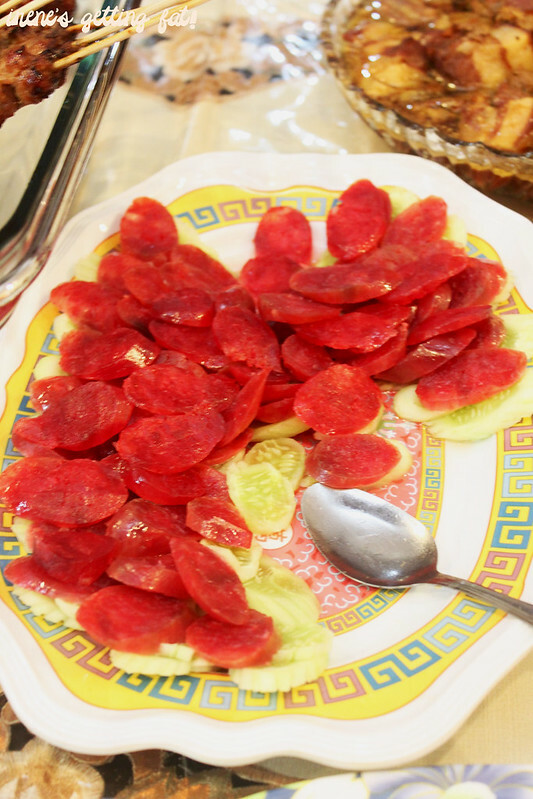 A highlight was this lap chiong (Chinese pork sausage); which is so bright coloured and intense in flavour. 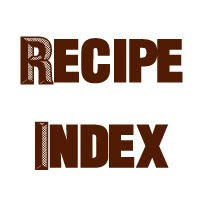 Perfect with warm rice, but I ate it with cucumber slices to tone down the meaty taste a bit. Because the old family dog died a year ago, the cousin has pet porcupines now. 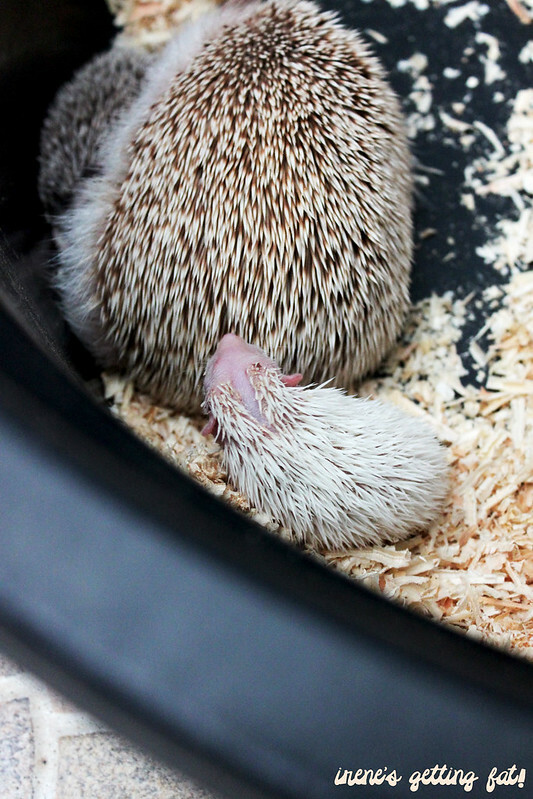 They're incredibly cute and chubby, but I love the little baby porcupine the most! 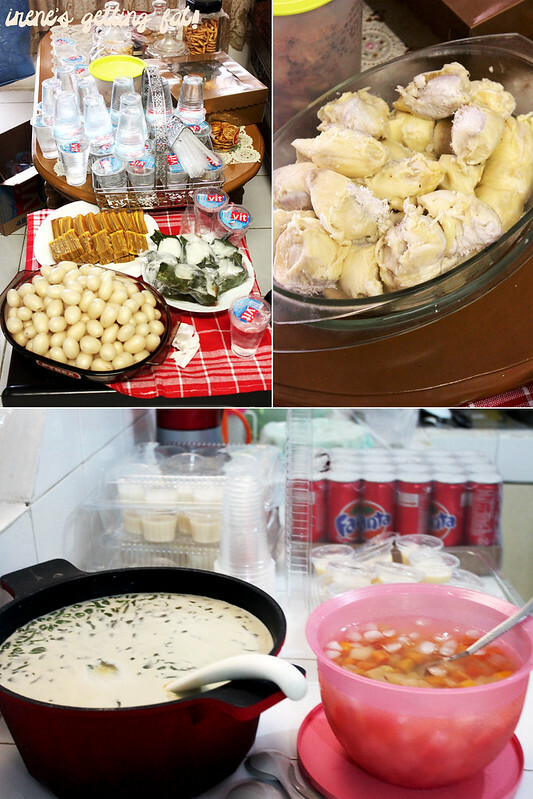 My dinner was a hearty Madanonese feast at Roo's home. 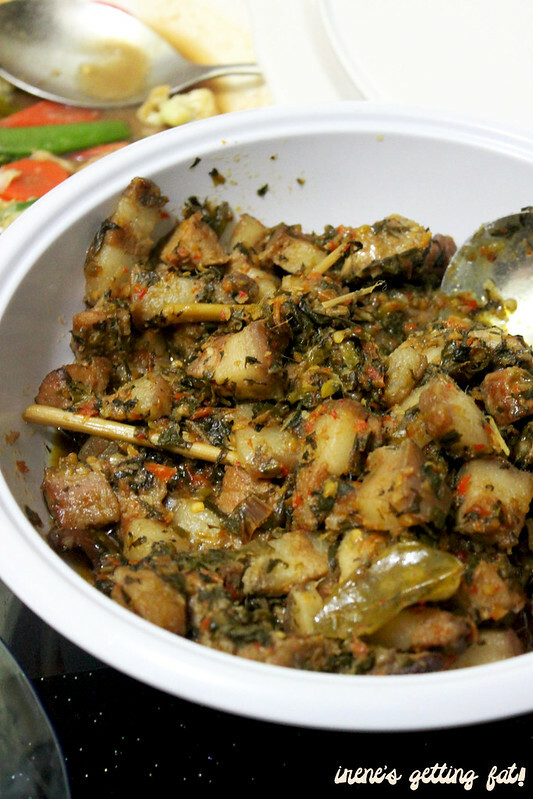 His mom has unbeatable cooking skills if it comes to Manadonese food. My favourite hasn't changed; it'll always be the super stingy yet flavorsome pork in green chilli sauce. Not for the faint hearted. 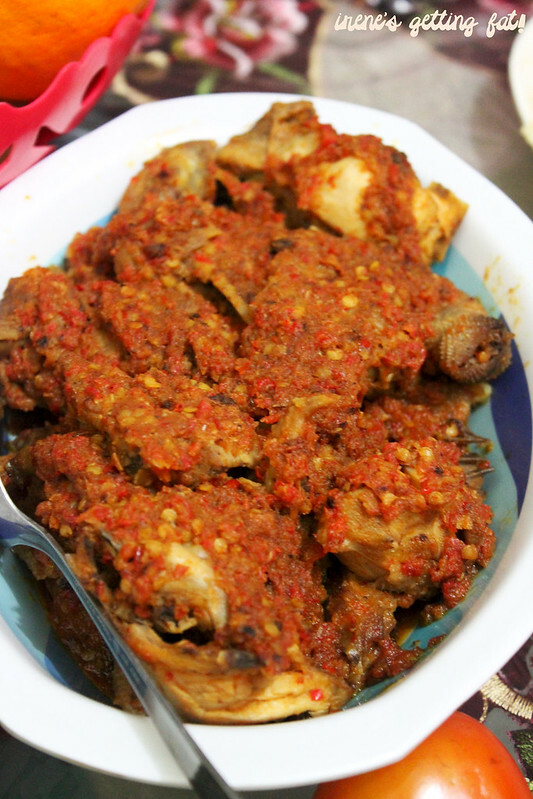 Ayam rica (chicken in chilli sauce) is also a winner, but it kinda pale in comparison with the pork. I left Roo's home feeling satisfied and grateful. Even my new dress felt tight by the end of the day. Alright, diet starts today! (NOT :p). How's your CNY? Any special dishes or cakes to share? And those porcupines are adorable! Gong xi fa cai to u too, Wander Woman! Omagash, yours is a serious feast! My family's dinner pales in comparison to those above!! Haha, but your family members sure seem to love pork ya? No wonder my diet always fails on CNY hahaha. I'm sure you had a great feast as well! yeah, definitely. hahaha. nawww cute porcupine but zomg all that food! happy new year! I'm sure you had a great feast too! I wasn't kidding when naming my blog....hahaha.